As the President of International Aircraft Title & Escrow “IATE”, I am excited to introduce you to our company. I have always derived a great deal of satisfaction meeting the needs of my clients during my 35 + years in this industry and it is my desire to include you as a satisfied customer. Information and regulations are being revised at an ever-increasing pace within the aviation industry. “IATE” is dedicated to providing leadership in this fast paced environment. With our experienced staff you will have full confidence that each transaction will be completed accurately, expediently, and with clarity for each of the parties involved.Service, integrity, and reliability are not just words at “IATE” but a commitment. 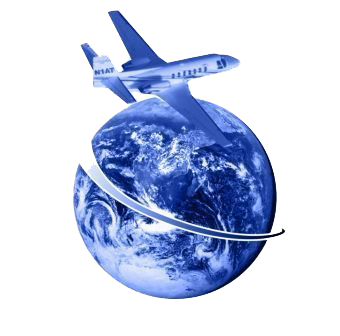 Our professional and experienced staff is unsurpassed in the aviation title and escrow industry. With collective experience of over 75 years, you can be assured that whatever your unique needs or requests we have the expertise to complete the transaction. When you choose International Aircraft, you can have confidence that each request will be handled by an energetic knowledgeable staff. We at International believe that the greatest service we provide is the assurance that each client's needs will be handled in a pro-active manner that exhibits the highest standard of professionalism, proficiency, and dedication. “IATE” is a full service title & escrow company dedicated to providing exceptional service to lenders, buyers, sellers, brokers and attorneys around the world. “IATE” is dedicated to leading our industry in customer satisfaction by providing consistently high-quality service; in innovation by handling difficult and unusual requests; in efficiency by our accurate, timely, and thorough handling of your needs. Included you will find additional information on “IATE”. I thank you for your consideration and hope to hear from you soon.